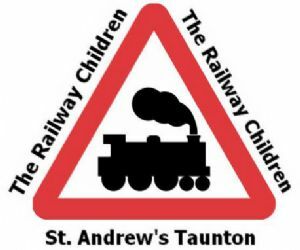 Our Sunday School is called “The Railway Children”. 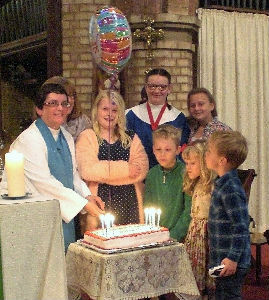 There are special activities for the children and we always end our time together by returning to church for a blessing. Activities are based on the Bible readings for the day or the season of the Christian year. There are a group of leaders and helpers who work on a rota basis. All helpers have are DBS registered. Please contact Sue Lodge (tel: 01823 352471) for more details about this. 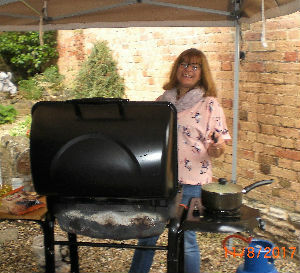 followed by a barbeque - Sue in action! Church Mice is a toddler group that meets on the first, third and fourth Tuesday each month in term time only from 9.30am - 11.00am St Andrews Church. Children come and stay with parents or carers. Coffee and squash are served from about 9am and then the more organised part of the morning begins. We begin each session with a song and a Bible story, lasting about 15 minutes, then after refreshments the children play until the end. 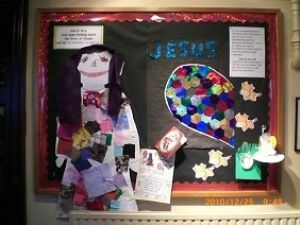 it also helps introduce young children to prayer and Bible stories as well as enable them to socialise together. There is no charge and all are welcome to come and try us out. You do not have to have any links with St Andrew's Church school to come to Church Mice. Church Mice celebrated the end of term by having a Teddy Bear's Picnic in the Church. The title DJ stands for ‘Discovering Jesus’. This is an after school club run on a Thursday afternoon in school. 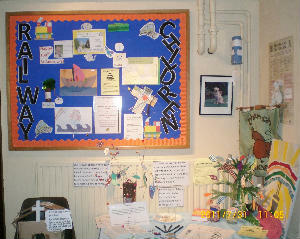 It is run by teachers and teaching assistants and members of St Andrews Church. 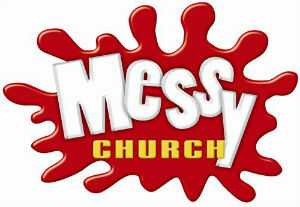 The club was started in September 2003 with the vision of making Christianity fun and relevant. It aims to cater for school aged children and their families. 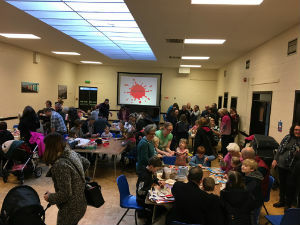 We often get mums and dads attending, making it fun for the whole family and giving it a family feel. We are delighted that St Andrews’s church is supporting us in this. They have added to our funds and we appreciate their practical and prayer support. This link has fostered closer everyday links with the church. Each session lasts for 40 minutes and during that time we have different activities including, drama, music, games, stories, craft, audio visual, puzzles, quizzes etc and a prayer time. We have about 15 children attending regularly. the theme this time is "Easter"